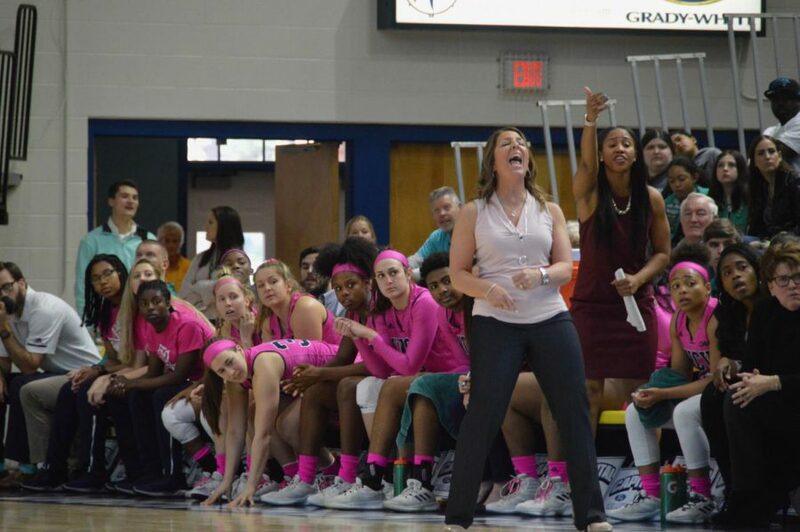 Coach Karen Barefoot celebrates alongside Seahawk's bench in win over William & Mary on Feb. 10. 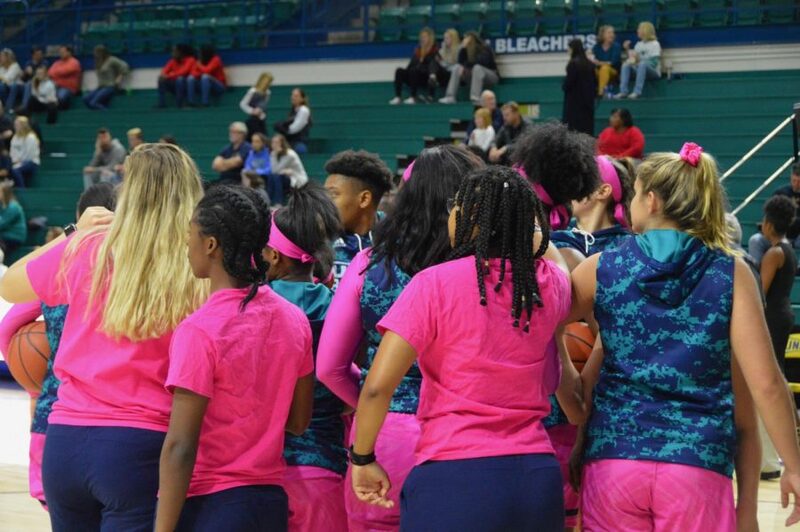 UNC Wilmington women’s basketball defeated William & Mary 66-58 inside Trask Coliseum on Sunday afternoon. The Seahawks closed the contest on a 10-0 to extend their undefeated home record to 12 games. Junior guards GiGi Smith (15 points) and Lacey Suggs (18 points) played all 40 minutes in the absence of redshirt senior Shrita Parker who missed the game due to injury.